... or not! 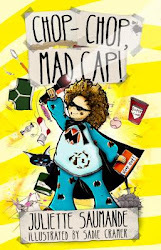 My interview for Megan at Reading Away the Days is live and Megan has one extract from the book AND 2 copies of Mad Cap to give away. Enjoy!